Explore our tips and advice for every aspect of your guinea pig’s care and enjoy the benefits of a furry companion who is happy, healthy and content. 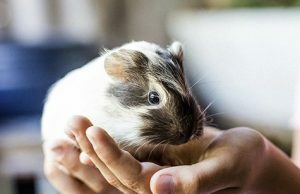 Guinea Pigs Were Kept as Pets in Elizabethan Times? A study by the Royal Belgian Institute of Natural Sciences has made some interesting findings based on the discovery of guinea pig bones buried in the cellar of a middle class house in Belgium.